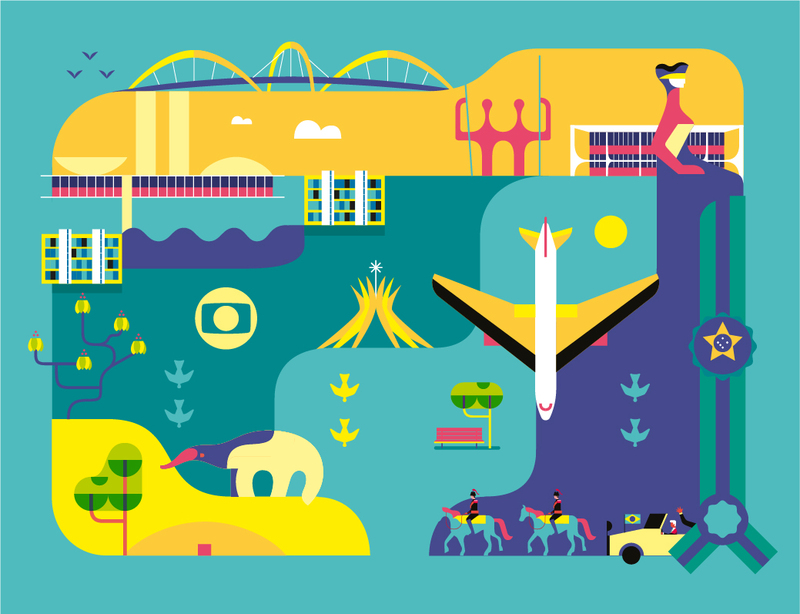 Rede Globo is Brazil’s main TV broadcaster and it has many affiliated channels across the country. 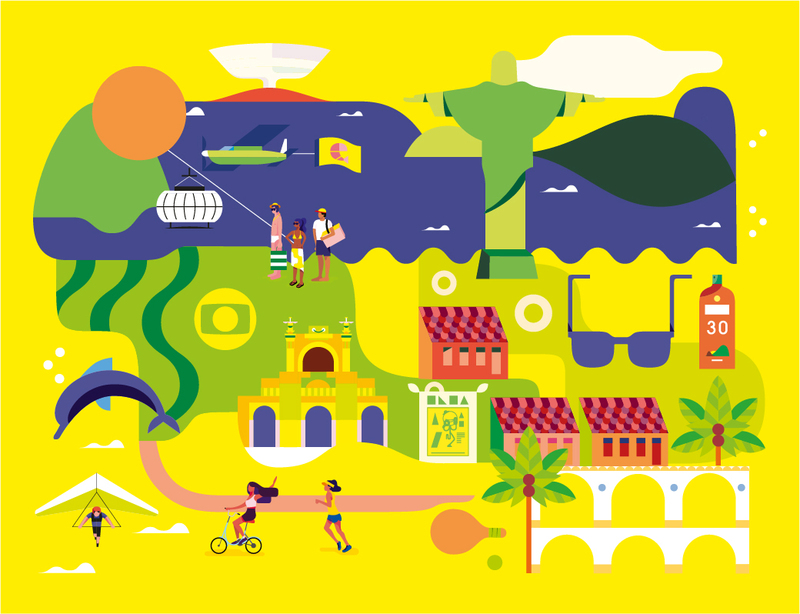 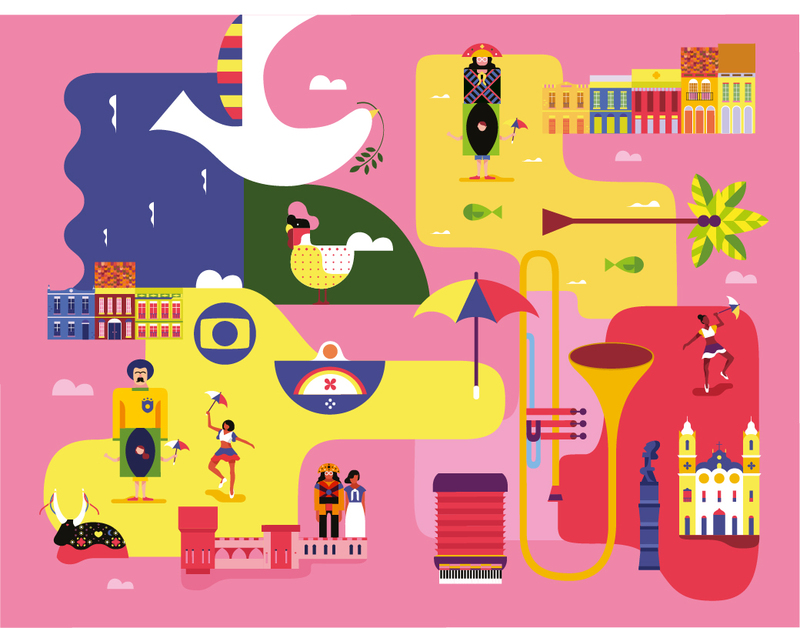 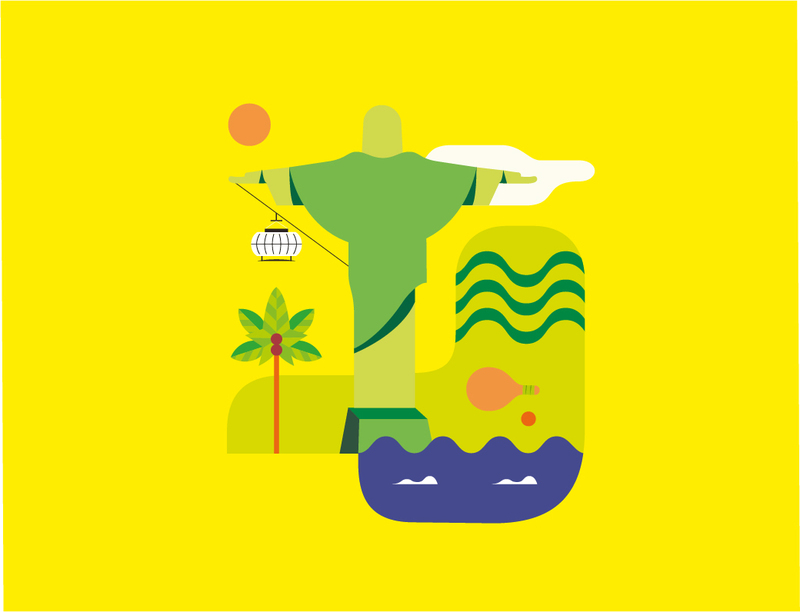 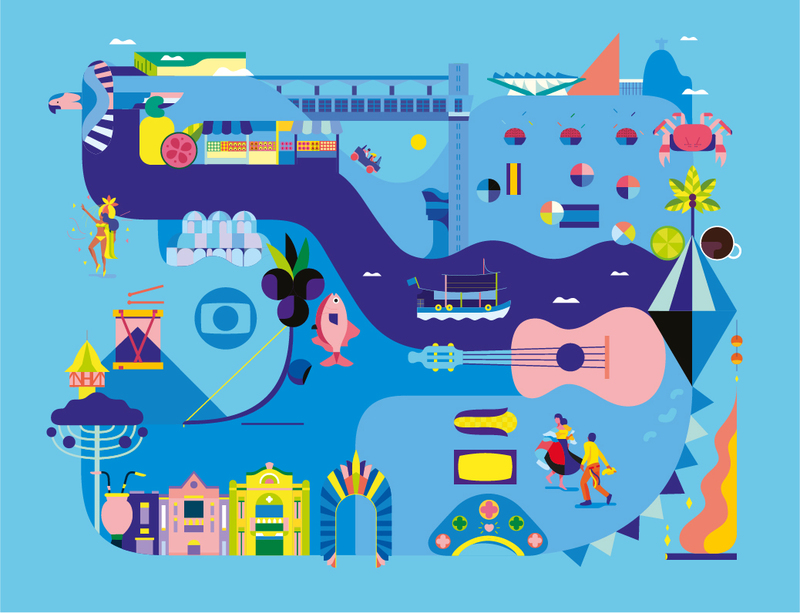 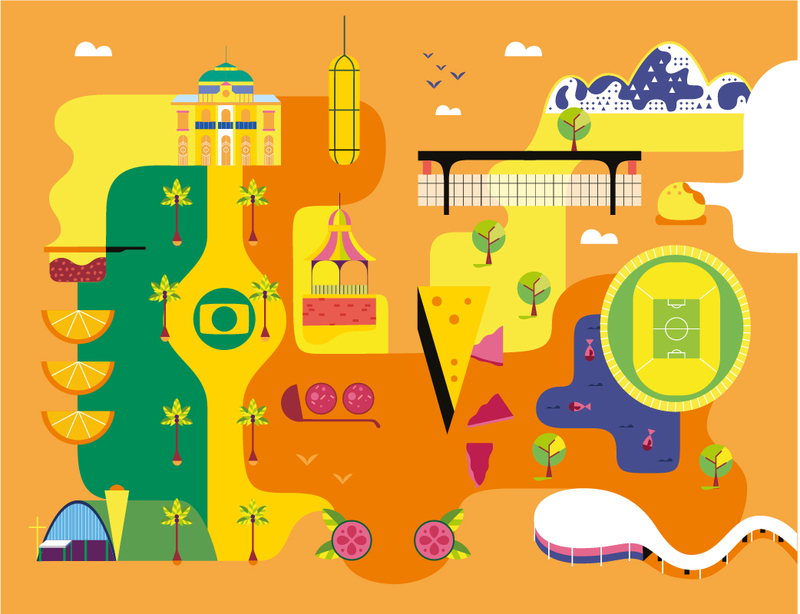 We were commissioned to illustrate Brazil’s diversity celebrating the culture of each Brazilian state. 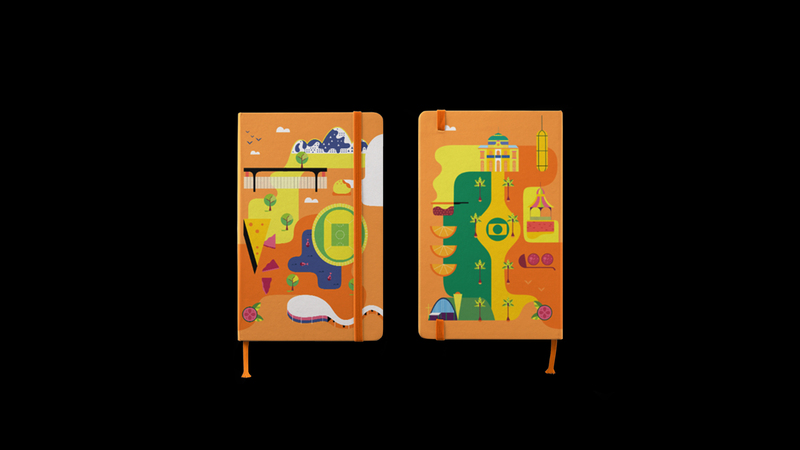 We selected main landmarks and cultural aspects, mixing them in a modular structure that could be easily adapted to different materials, products and formats. 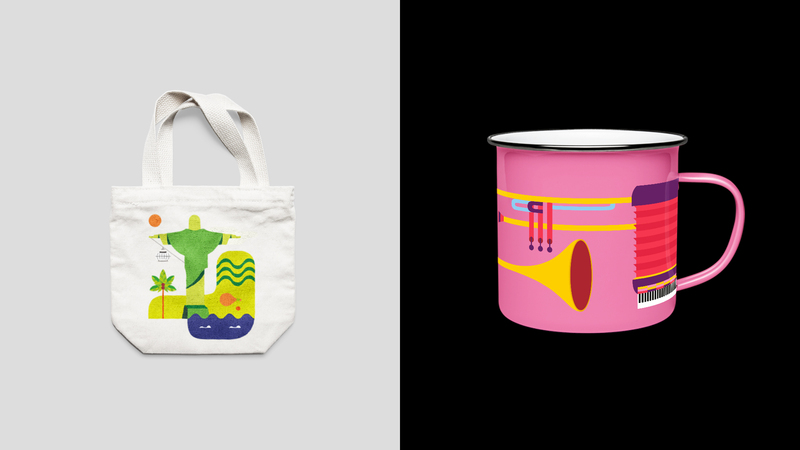 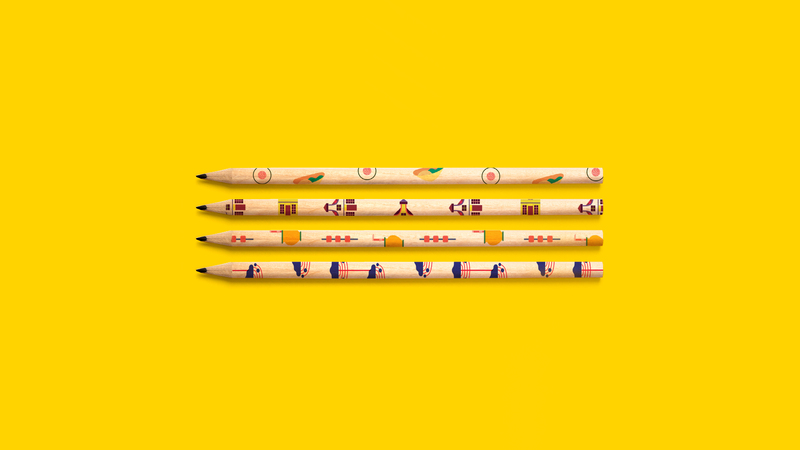 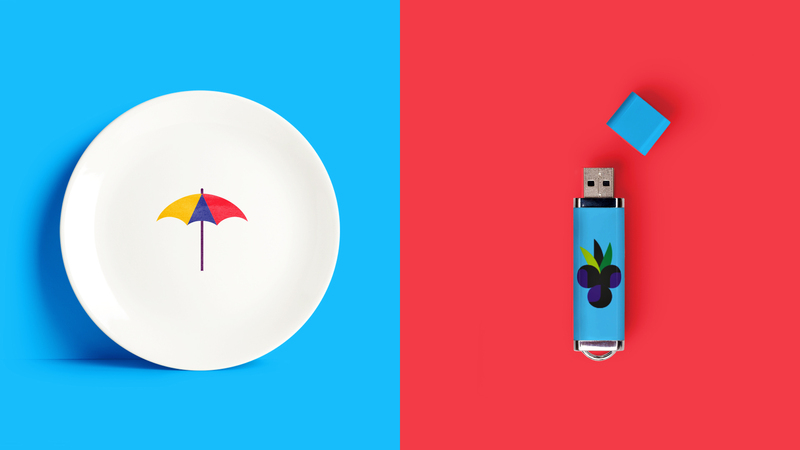 Those illustrations were used in products and materials gifted by Rede Globo.